Now available! 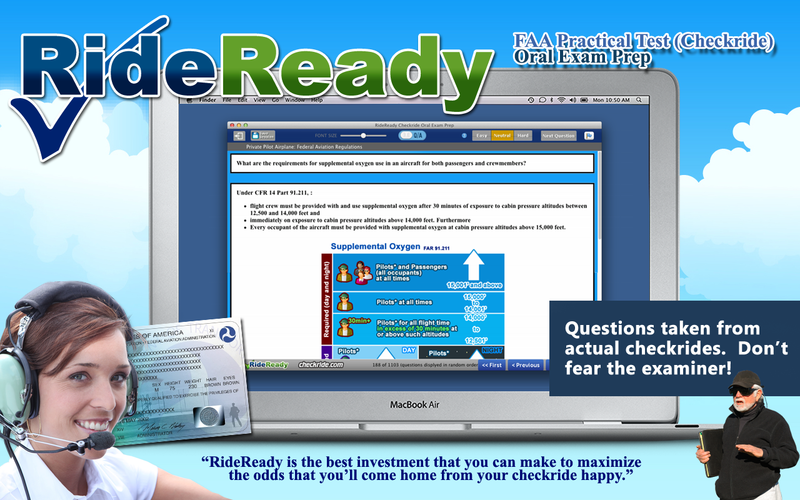 Mac™ (OsX) versions of RideReady FAA Practical Test (Checkride) Oral test prep for Mac desktops and laptops! Sorry, but Balloon, Seaplane, and Tailwheel are not available for Mac at this time. 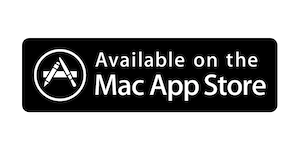 Please try the iOS, Android, or PC version of this instead. After much time and a lot of hard work (thanks for your patience! 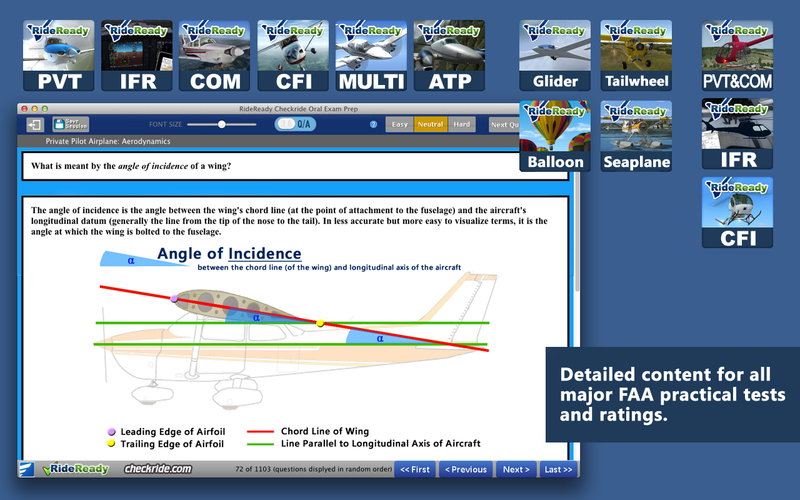 ), we're happy to announce our RideReady FAA Checkride Oral Exam Prep apps for Mac ™. After a lot of work on these titles, we are exceptionally pleased with the results and sure you will be too. 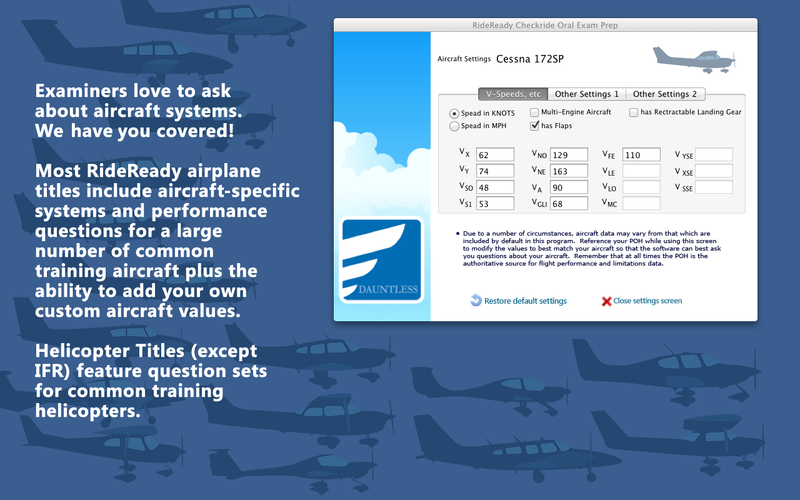 Now, you can study 'natively' on your Mac with more realistic checkride questions, more illustrations, and more up to date aviation learning content than ever before. 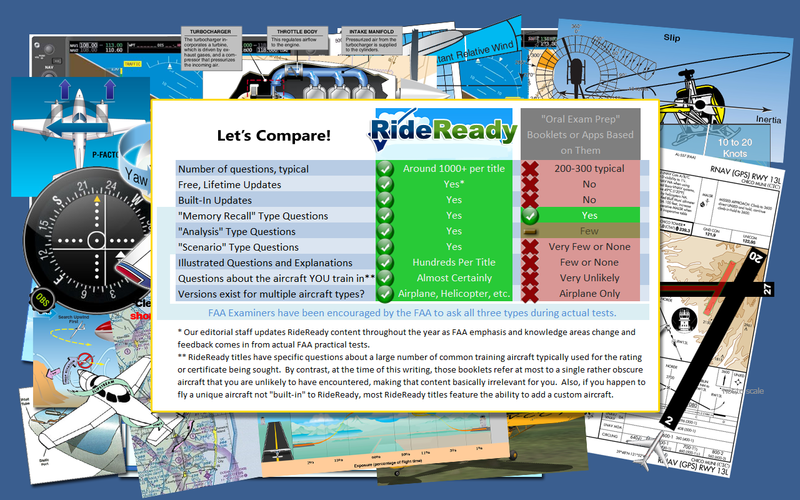 At the time of this writing, our RideReady FAA Practical Test (Checkride) Oral test prep apps are FAR SUPERIOR to any of the other apps that we have seen. Why?